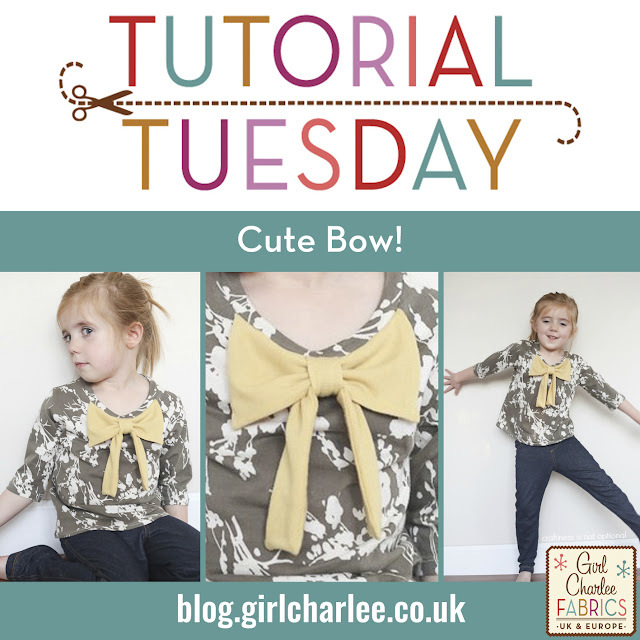 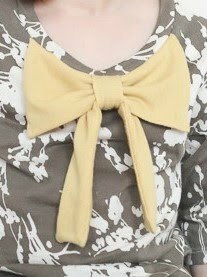 Girl Charlee Fabrics UK & Europe: Tutorial Tuesday: Pretty Bow! 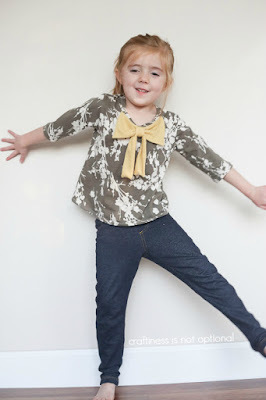 We love this idea to jazz up a plain top! 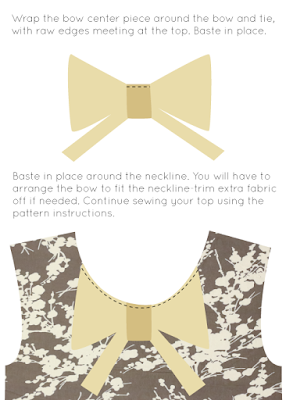 Jess at Craftiness is not Optional has done a fantastic tutorial for making this cute bow. 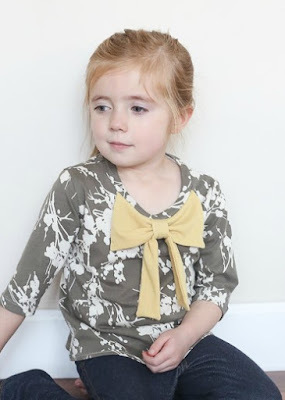 Designed to be used with the Craftiness is not Optional Nessie Top, it can easily be adapted for any top with a round neckline and really puts the finishing touch on a child's or adult's top. 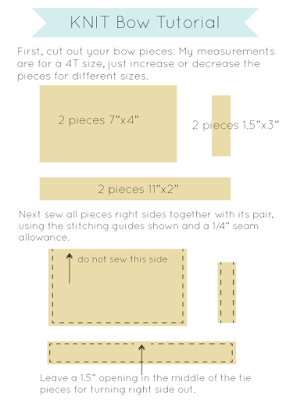 Even better, it only uses a quarter metre of fabric so you can put those unused scraps of fabric to good use!